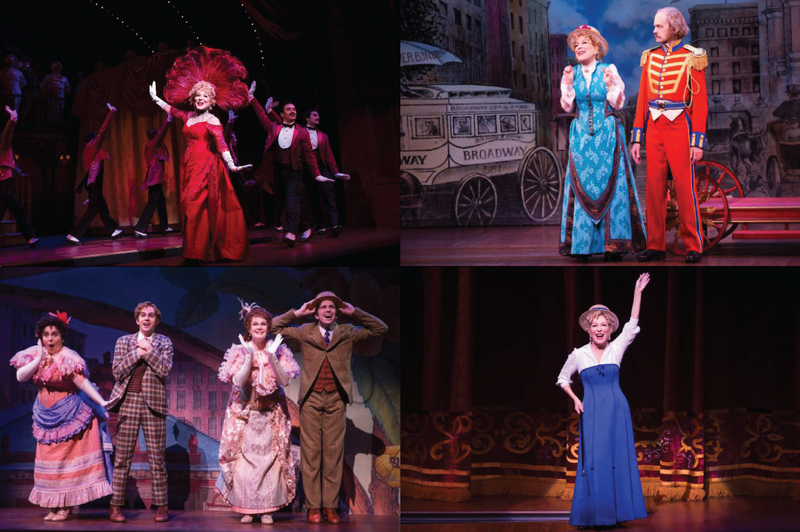 Review: I fell in love with this score since the day I saw the movie adaptation of HELLO, DOLLY! starring Barbra Streisand. For me, that’s the best recording of the score! Later, I bought the original Broadway cast starring Carol Channing and I loved it too. In fact, one of my all-time favorite songs, “Put on Your Sunday Clothes”, was written for this musical and so was the utterly romantic “It Only Takes a Moment”. 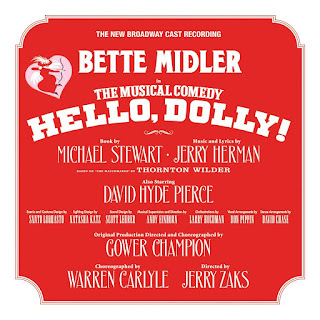 When I heard that a new production of this musical was planned to open on Broadway with Bette Midler as Dolly, I was more than excited. I loved her in the television adaptation of GYPSY and I could easily imagine her in the role. 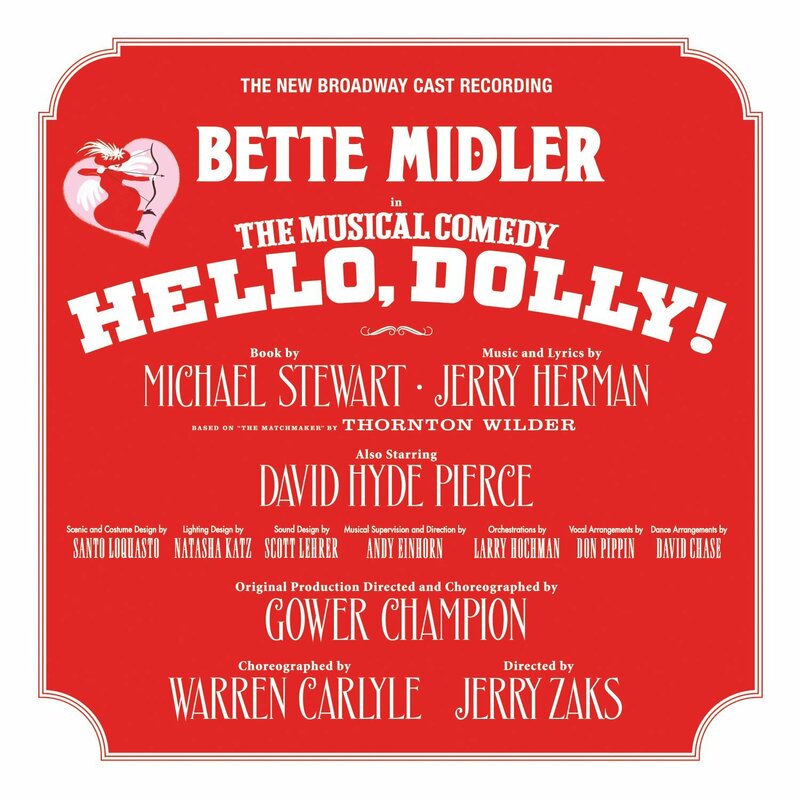 I still don’t doubt she’s a terrific Dolly on stage but, unfortunately, she isn’t on this recording. Her rendition of the songs sound tired; sometimes it seems she’s sleepwalking around the musical numbers. Maybe she’s a little bit too old for the role. The problem isn’t only Better Midler. There’s no excitement in the songs, there’s a lack of energy that’s upsetting. This is one of the best scores ever written and has that uplift spirit that only Jerry Herman can write, but in this recording it seems the songs never “fly” as they should. Even so, this is an unforgettable score! I always preferred the opening song of the movie, “Just Leave Everything to Me”, instead of the one originally written for the show, “I Put My Hand In” and, I don’t know why, I thought they would use it on this new production, maybe because I could imagine Middle singing it. One good surprise is the addition of “Penny in My Pocket”, a song cut form the original production that here gives David Hyde Pierce a great moment. I also love Kate Baldwin’s rendition of “Ribbons Down My Back”; for me she’s the best of all the Irene Molloys I heard and she makes a perfect couple with the sweet Gavin Creel. This is far from the best or most up-lifting recording of this fabulous score, but with Bette Midler attached to it I’m sure it’ll conquer new fans. Don’t get me wrong, but I envy all the people who will hear this score for the first time.